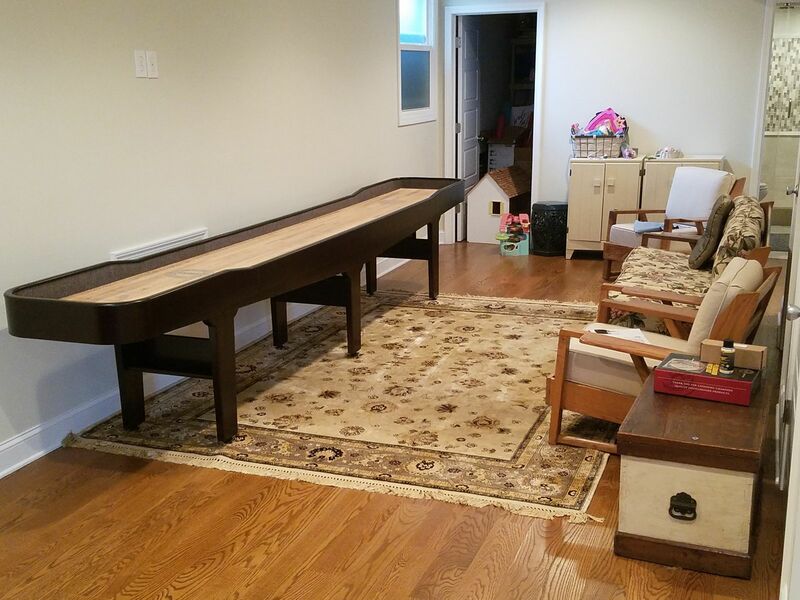 Champion's beloved 12-foot Gentry shuffleboard table is truly in a league of its own. 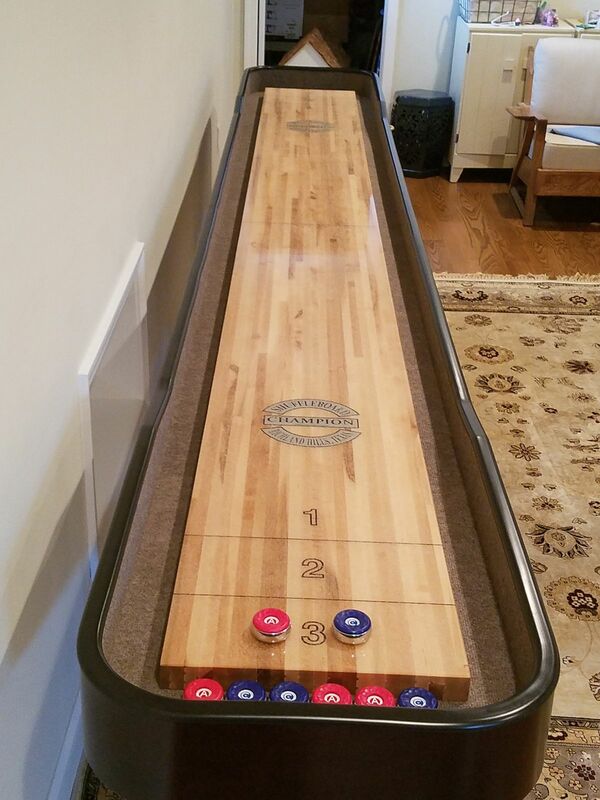 Built with a solid Canadian maple playfield, a resurface-free polymer finish, hand-crafted solid maple legs and an easy-to-assemble construction, the 12-Foot Champion Gentry Shuffleboard Table makes a charming focal point in your home, bar, lodge or entertainment center. 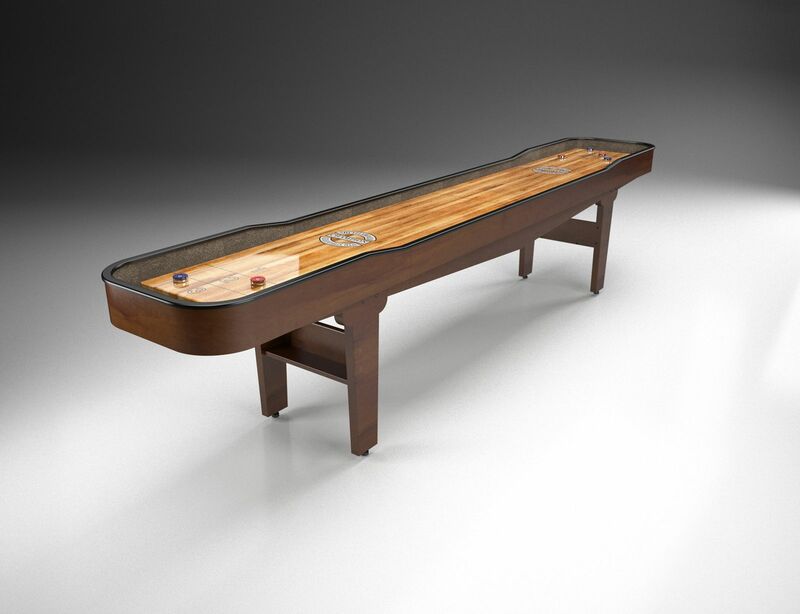 As with every Champion shuffleboard table, the Gentry comes with a lifetime warranty on the playfield. 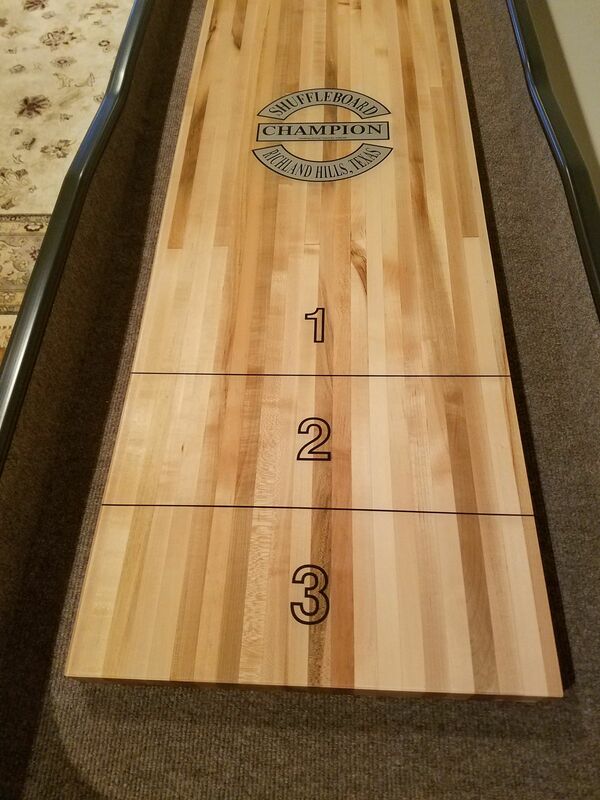 The Gentry table has a maple veneer cabinet, which allows for a customized stain, and can be ordered with a full-color logo from The Shuffleboard Federation. Additional options, like electronic scoreboards and a light kit, make this a popular table for serious shufflers and beginners alike. 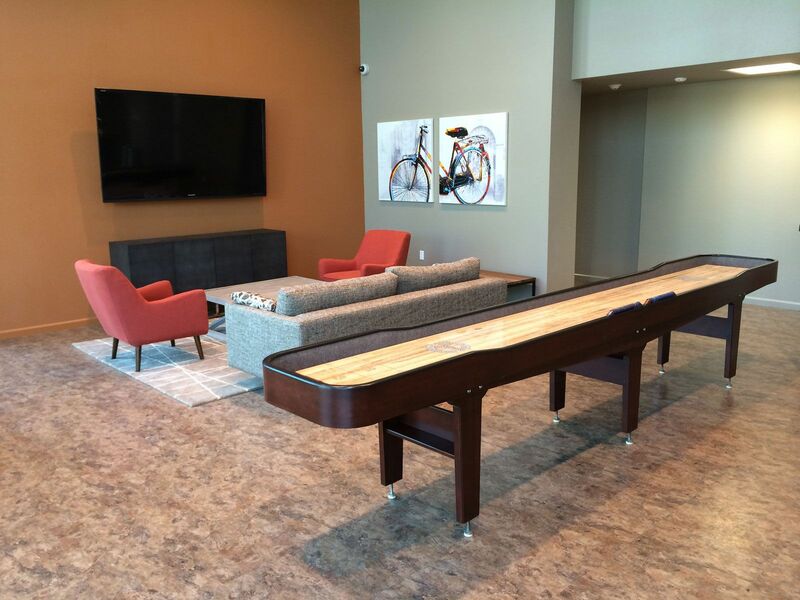 The Shuffleboard Federation also offers the Gentry in a 9-foot option and a 14-foot option for your convenience. Maple laminate cradle with solid Maple legs.